We have perfected the hot buttered rum this January. 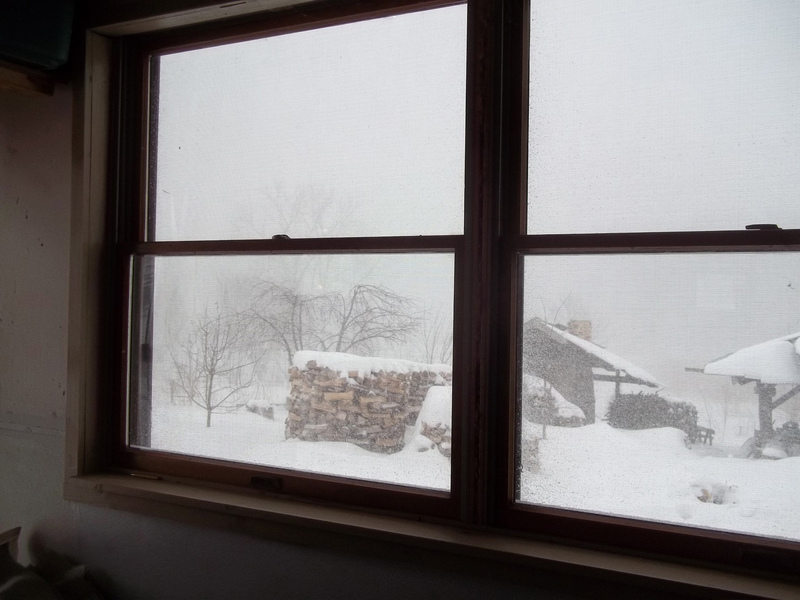 We invite you all to come in out of the cold, warm your feet by the fire and let the hot buttered rum do the rest. We anticipate an exciting new year with the addition to our animal family. 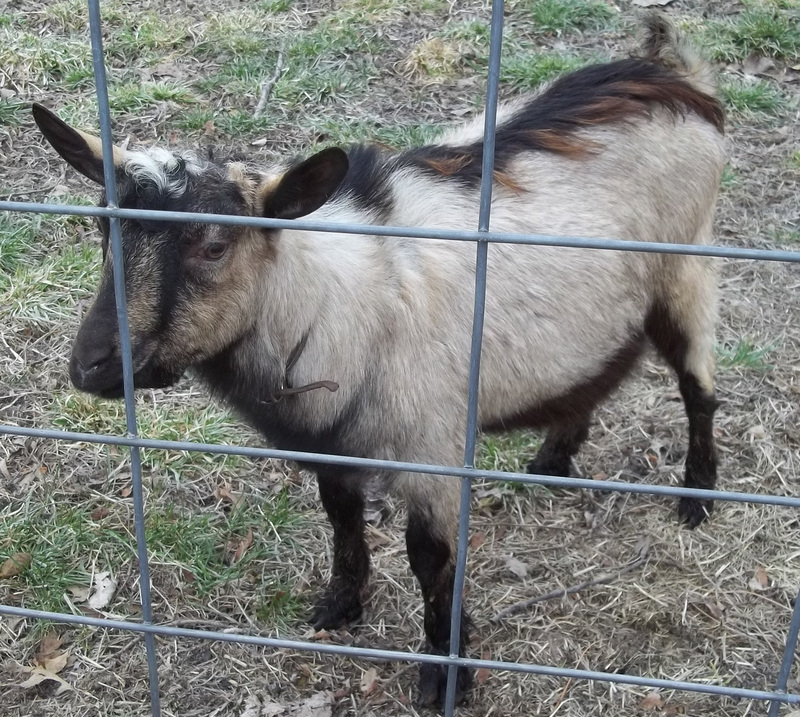 We have an American Alpine Buck named Monty. He is very adorable until you are downwind. Goat bucks are constantly giving off pheromones in case any doe in the area is going through estrus to let her know he is available. A doe doesn’t have a smell at all. We unfortunately lost one beehive late fall but we are splitting one of the two left next season. Ry has been investigating and collecting Blacksmith equipment for about 2 years so in December we added a small section to the animal barn for a blacksmith shop which will double as a tractor repair when need be and metal works for Jon’s sculpture. 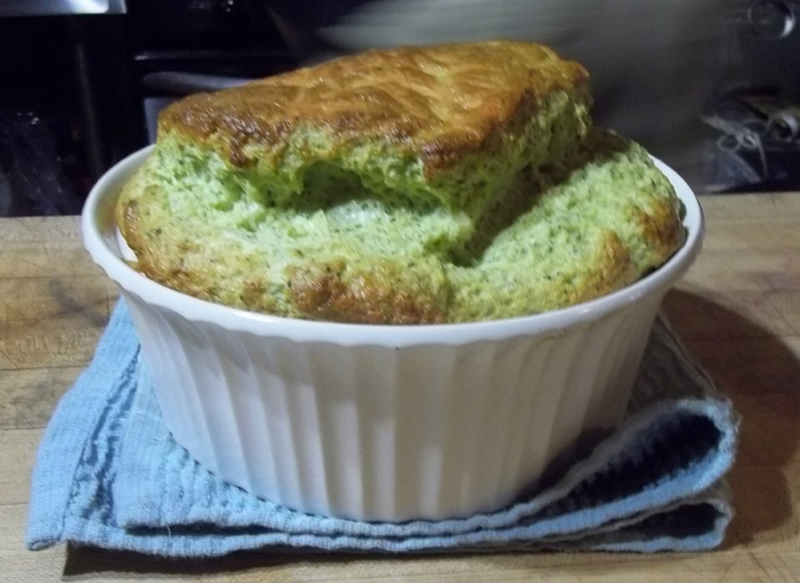 Lu has been mastering the soufflé and has mastered both sweet and savory. Jon has been working toward an exhibition Work Local: Art Meets Industry at the Lubeznik Center for Arts the Opening reception is Feb 6, 5-8pm CST. The company he has teamed up with is Blocksom in Michigan City, IN. They import coir, which is the seed fiber around the coconut from Sri Lanka, and make it into a variety of products. 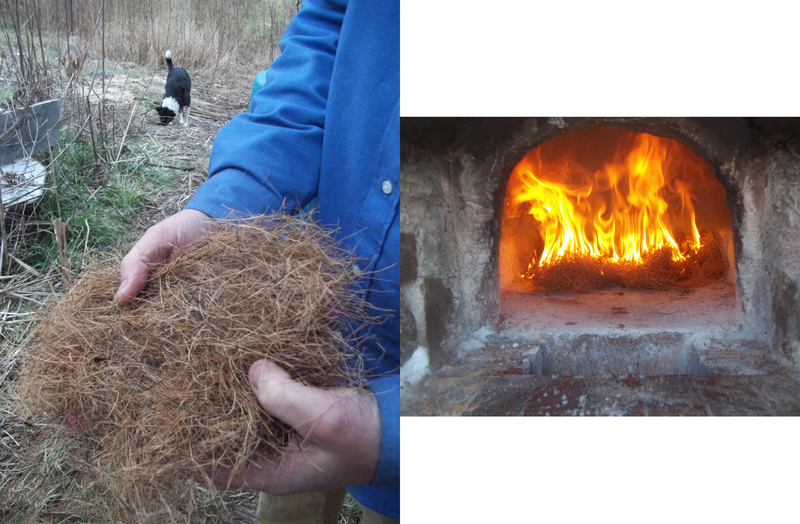 Jon is taking this natural fiber burning it down to an ash and making a glaze- he fires this weekend. Since he has a paper studio at his disposal, he is also making paper from a small amount of fiber for a print. The work will be at the exhibition. Andrea has been swamped with studio artists through most of the late fall and is now having time to work on her Indiana Arts Commission grant. The paper pulp drawings (3’ x 6’) are complete and the woodcuts to be layered over are in progress. Andrea is teaching a relief print class at the Box Factory for the Arts in St. Joe, MI on Thursdays February 5 – March 12, 6:30 – 9 pm info see classes on the website. If you are in Tallahassee, FL go visit the Strozier Library on the FSU campus, they just bought a copy of Andrea’s artist book “organized chance”. It was the same book shown in Fabriano, Italy summer of 2014. If interested she only has 3 copies left.